The preview window in MS Explorer is a useful feature in MS explorer, and you can customize it or turn on or off. This Solution is for Windows 8.1 and 10! Start in Windows 8.1 MS-Explorer [Windows Logo] + [E], click the View button, then simply activate the preview window, you can adjust the size via mouse over (hover) in the area (... see Image-1 Arrow-4) and hold down the left mouse button (drag)! Click on Detail Report, you will receive further information about the appropriate file! (Image-1) Preview window in MS-File-Explorer Windows-8.1! Use the details pane in Windows 8.1 explorer, to see the most common properties associated with the selected file. File properties provide more detailed info about a file, such as the author, the date you last changed the file, and any descriptive tags you might have added to the file. If you don’t see the details pane, tap or click the View tab, and then tap or click Details pane. Use the preview pane to see the contents of a file, such as an Office document, without opening it in an app. If you don’t see the preview pane, tap or click the View tab, and then tap or click Preview pane in Windows 8.1 explorer. Windows-8 - FAQ-181: Activate, Customize the preview window in Explorer Windows 8.1 / 10? Turn on windows explorer preview for libreoffice? Can not enlarge window in file manager window 8.1? Windows 8.1 File Explorer Preview Pane? How to zoom in preview pane windows explorer 10? Windows 10 preview pane size? Custom windows explorere preview pane? No preview shown in preview pane in windows 8.1? Activating windows 8.1 file explorer? Custom windows explorer windows 8? Preview Pane troubleshooter windows 8.1? 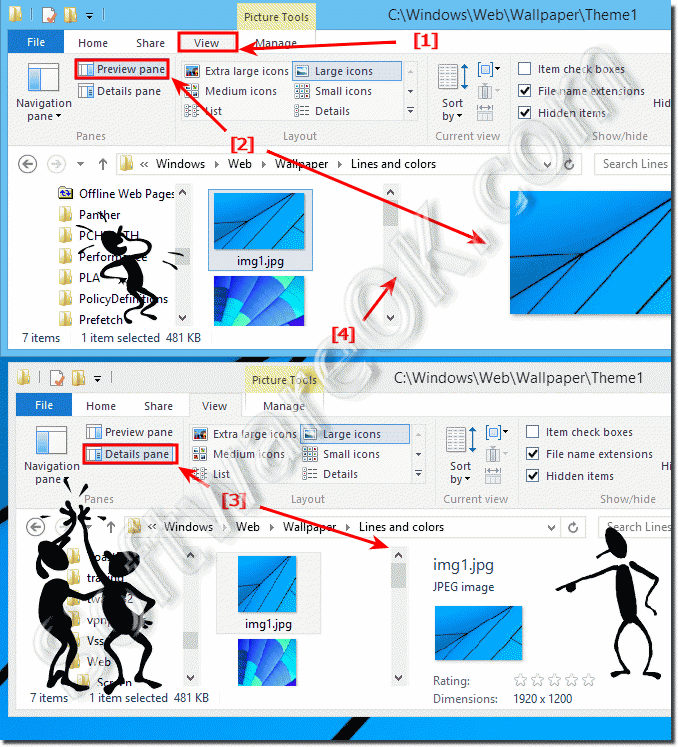 Windows explorer customize file preview?